You are in the Condomize Zone! 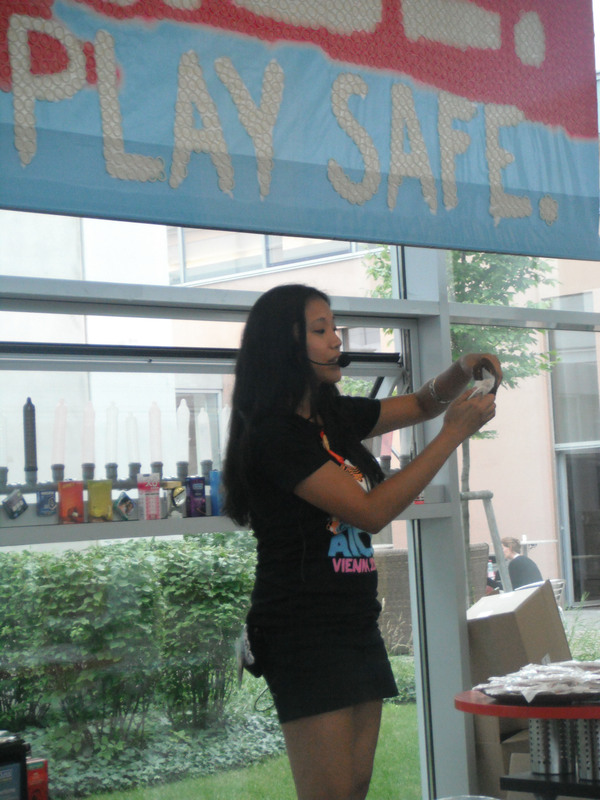 The Condomize Campaign, an initiative of the United Nations Population Fund and the Comprehensive Condom Programming Interagency Task Team, launched this summer in Vienna at AIDS 2010. As a campaign, our goals are to destigmatize condoms and to give people around the world access to quality condoms when they need them and where they feel most comfortable. "Good morning, AIDS 2010 delegates!" • And me, educating about all of the above! Me, packing up at the end of each day! 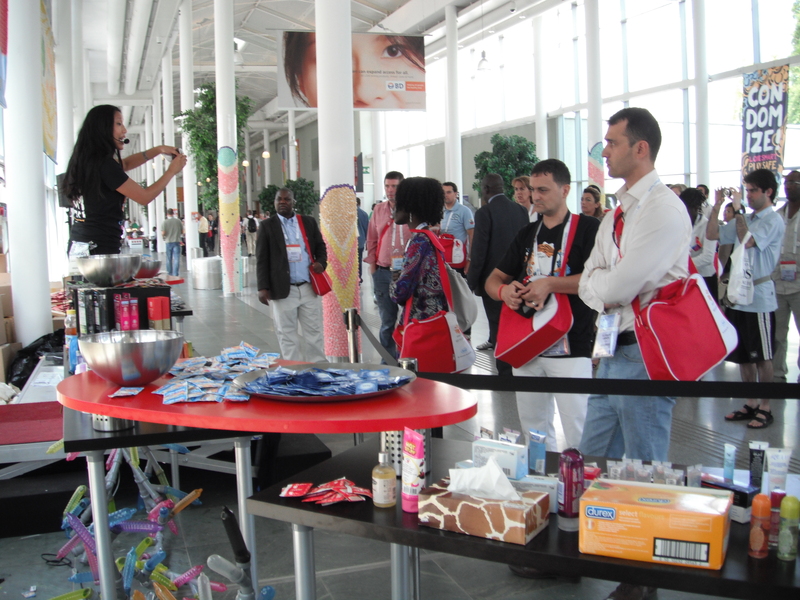 Check back later for more photos from the conference, and the Condomize Team in the U-Bahn and around town in Vienna!